In this series of articles, we have discussed the important role of meditation in early Sikh history. We have appreciated the evocative depiction of a geography of meditative experience using a rich pallet of conceptual, locational, physiological and subjective terminologies. We have studied Gurbani and historical accounts of the passing of the Guru's meditative awareness to his foremost disciples. We have also taken note of Guru Gobind Singh's warning against leaving his distinctive path and taking up a path of rituals. We have examined Sikh history and found there the first hints of the breaking of this chain of transmission in the mid 1700's when sheer survival from persecution and war were primary concerns. In the time of Maharaja Ranjit Singh, we observed the declining status of women and the rise of rituals in the imperial court and throughout Sikh society. We have also looked at the period of British colonial rule over the Sikhs, when many British habits and forms of thinking became predominant, never to recede even with the achievement of India's political independence. Much is made of the supposed status of women in Sikh dharma, equal to men in all things. This work shows a dramatic drop in the role and prestige of womankind during the reign of Maharaja Ranjit Singh, a decline from which Sikh women arguably have never recovered. With the decline in women's position in Sikh society, there is also a virtual disappearance of women and children in meaningful roles in Sikh dharma which continues to this day. 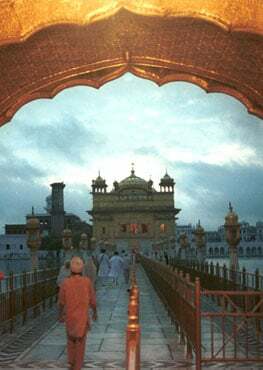 Sikh dharma has behind it a glorious history of empowerment and social transformation. It carries with it also generations of physical and psychological trauma. It may be that some Sikhs today are too haunted by the ghosts and demons of the near and distant past - the genocidal Mir Mannu, the traitor Lal Singh, the mass murderer, General Dyer; the Partitionist, Muhammad Jinnah; the cunning Prime Minister, Indira Gandhi - to take their rightful place in the present. The interruption of the unbroken transmission of the Guru's meditative awareness may be part cause and part consequence of these harrowing turns of history. 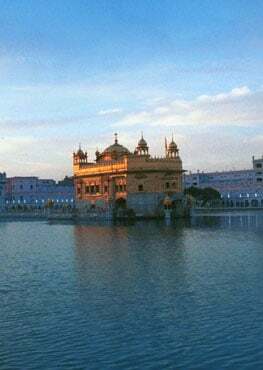 It is the author's hope that a renewed and invigorated transmission of that inspired state of mind may take the Sikh nation from the depths of despair and disunity to a return to the heights of dedicated service and love of humanity.